This page is a work in progress...a number of customers have come in our shop saying that they remember this when it is an auto parts store or gift shop and they recollect on what it looked like and what has also changed in the local area. I've done some research on this building (thank you to the Royalton Historical Society) and here's what I have found out! In the early 1850's Thomas Coates, build the first commercial store building in town, prior to that, all town buildings were for residents. The location is at the intersection of Bennett and Ridge Roads. Coates is a very important founding father in North Royalton, he was involved in the early settlement as well as serving our country in the War of 1812. In 1872 J.N. Veber (James) took over the store and modified the building to most of it's present day look, circa 1882. Upstairs was a meeting hall for KOTM, known as Knights of the Maccabees, a white only fraternal group who focused on providing low cost insurance to its members and provided final expense related benefits such as society cemeteries. Members had to be of "good moral character, bodily healthy and socially acceptable." Anyone involved the the liquor trade or an alcoholic was not acceptable. In the mid 1920's, the upstairs served as a dance hall. Location of 1st telephone in the town! White only group on 2nd floor. 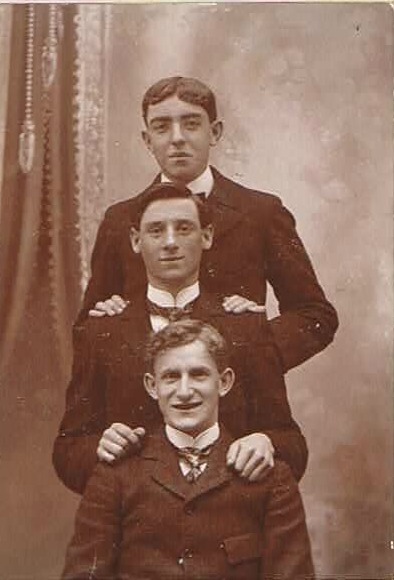 James (bottom) pictured with his 2 brothers. In 1865, J.N. Veber (James) served in the Civil War, Company B, Second Ohio Cavalry. When he returned home in New York, he became a wholesale meat dealer and butcher. Soon after, he moved to Ohio and settled down in North Royalton. James married his wife, Mary in 1870, and became the township treasurer for nine years and a member of the Methodist Church (across the street), which is now called the United Methodist Church of North Royalton. 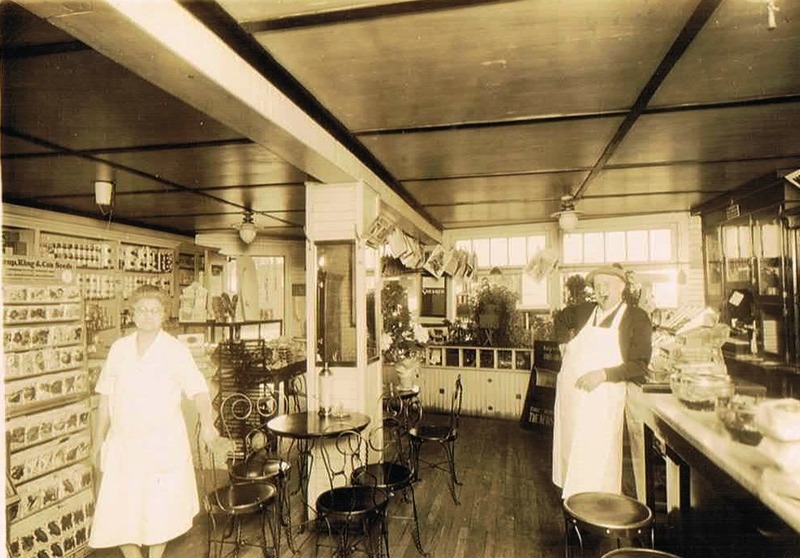 Mary and James worked daily in their general store, as pictured below. 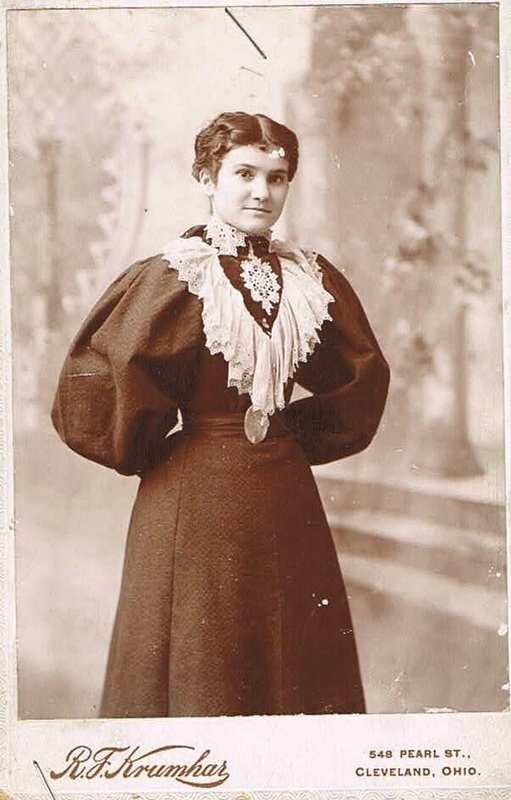 Mary served as the township treasurer for 9 years. Taking time for pictures...James holding his youngest daughter Daisy, standing is a store clerk, and wife Mary. Notice the advertising sign behind them for copper boilers! Note: The store clerk, B.J. Gortner, later married their eldest daughter, Lelia . 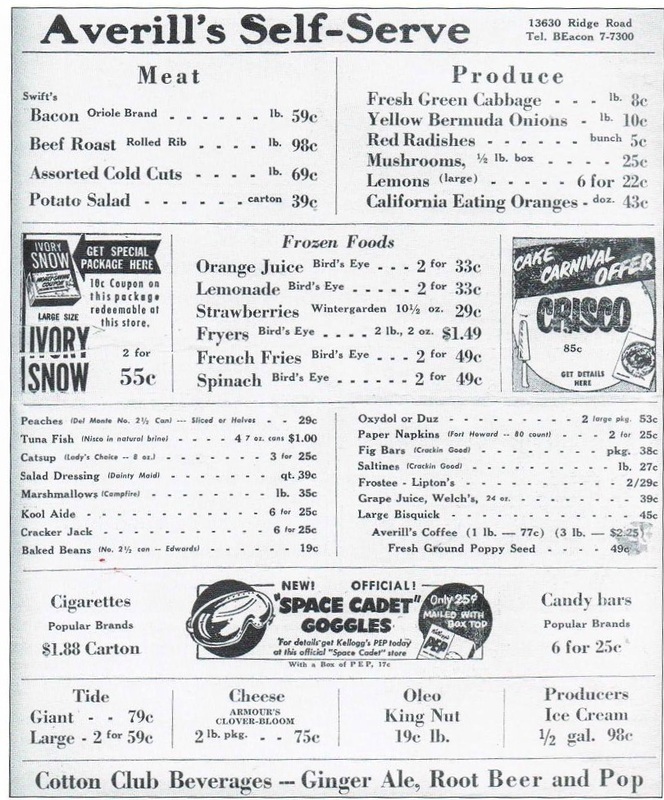 The store eventually was passed to BJ and was later changed to Gortner's General Store. Below are Mary and James in their store. So many things to look at in this picture...seed packets to the left, beautiful counter and custom built cabinets on the right. Parlor table and chairs...maybe for ice cream or soda?!? 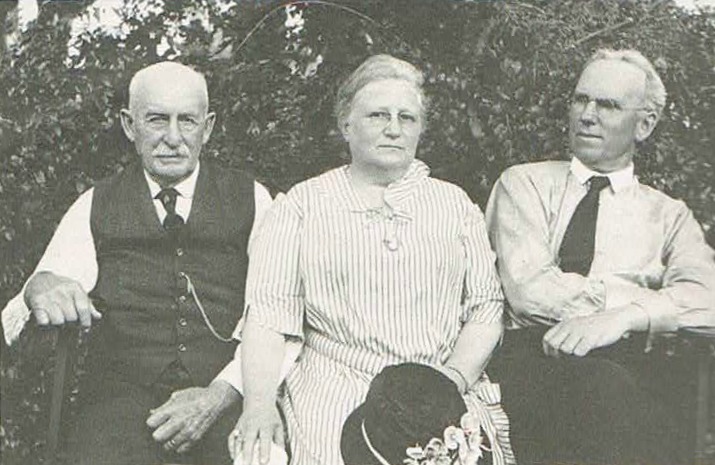 Daisy, pictured to the right, one of their three children, married Doctor Shildrick who also lived across the street on Ridge Road. James and Mary's great grandson, James M. Veber, honorably served in the Vietnam War. The family Veber home, located just to the South of the store. It is still there, only a parking lot separates both buildings. Although it is fuzzy, you can see James at the garage door. 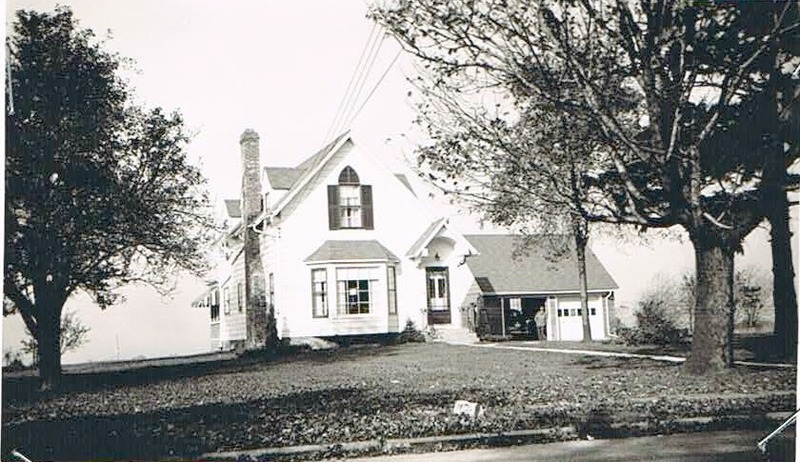 Remodeling over the years changed the appearance of the house, eliminating the garage and an addition of a front porch. 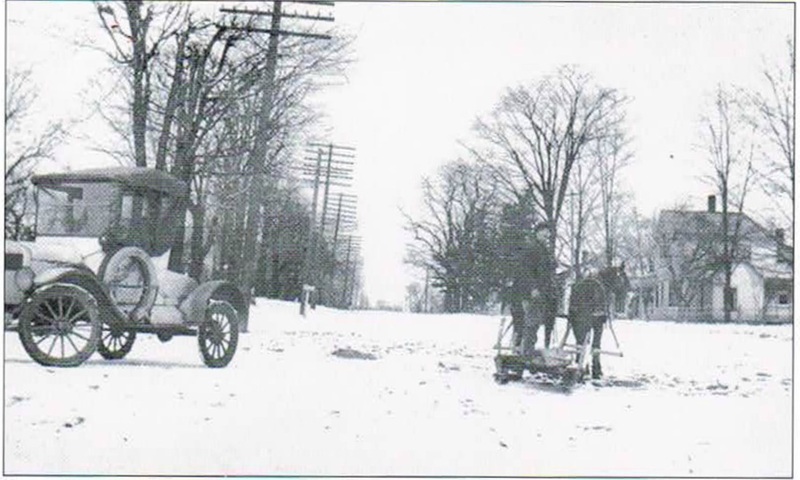 Veber also delivered groceries and supplies via horse and buggy or sled depending on the weather conditions. Phil Averill took over after Gortner and changed it to Averill's United Foods. This advertisement is from June 1952. Averill also helped the city with writing its town charter in 1949. It's been an auto parts store, donut shop, gift shop, an illegal massage parlor (yes! in 2015), and now an antique store! If you know any other information about this building - please let us know!